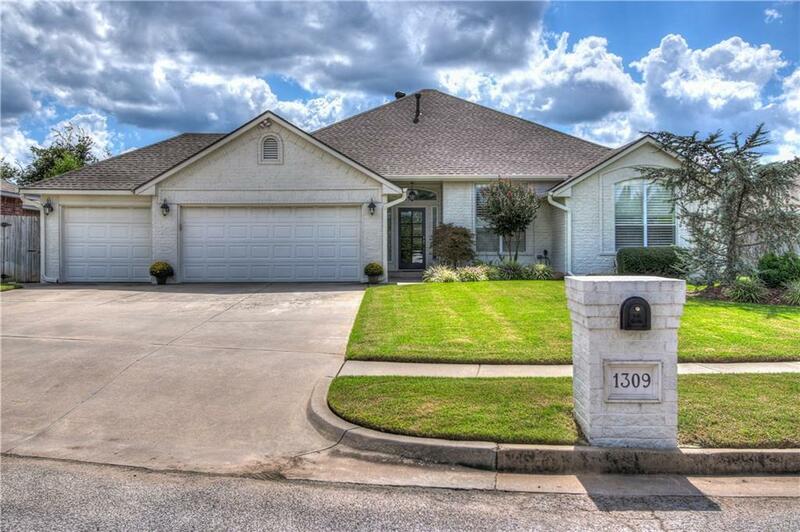 Immaculate, move in ready home located 1 mile from OU's North Oval! Featuring beautiful warm, wood flooring in the living area, an open concept kitchen/living, split bedroom plan, nice master suite with walk in closet, neutral colors, and plenty of storage! Natural light floods the home and the spacious kitchen features granite counters, an island with bar seating, stainless steel appliances, and a dining area. The 3 car garage provides an in-ground storm shelter and the spacious, landscaped backyard features a covered patio and in-ground sprinklers (front and back)! Amazing curb appeal and established landscaping give this home the wow factor.